Growth Sectors: where are they? Image: Growth Sectors: where are they? Image: Figure 3. Growth Sectors: Are they growing? Boswell, C. (2017). Brexit: Challenges and Opportunities. Migration, Diversity, Rights and Social Protections. Royal Society of Edinburgh. Tindal, S., Findlay, A., & Wright, R. (2014). “The changing significance of EU and international students’ participation in Scottish higher education”, Working paper 49. Centre for Population Change. Bell, D., Findlay, A., & Wright, R. (2014). Labour migration policies and constitutional change in Scotland. Oxford Review of Economic Policy.. Written answer by Marina Curran, Scottish Government. (2018). -. Boyle, S. (2017). 'Economic Policy Performance' in The Scottish Economy: A Living Book, edited by K. Gibb et al.. London and New York: Routledge. Fraser, D. (2017). “The Scottish Economy, the SNP and the Absence of Economic Nationalism”, in A Nation Changed? The SNP and Scotland Ten Years On, edited by G. Hassan and S. Barrow. Edinburgh: Luath Press Limited. Scottish Enterprise. (2018). “Scottish Enterprise Economic Trends Survey”, based on 429 completed surveys between 1 November and 31 January.. [No description]. Thomson, D. (2018). Interview with the author. 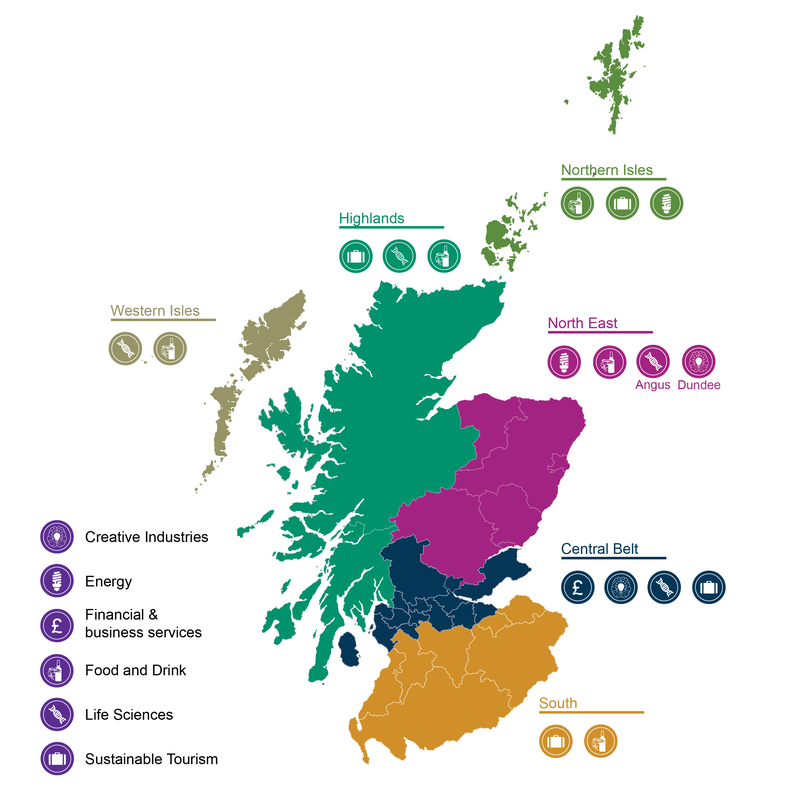 Food and Drink Federation Scotland. Interview with Leon Thompson. (2018). Visit Scotland. Chalmers, G. (2018). CEO of International Hotel Jobs, interview with the author, Alloa, 5 February 2018. -. Green, A., Atfield, G., Adam, D., & Staniewicz, T. (2013). 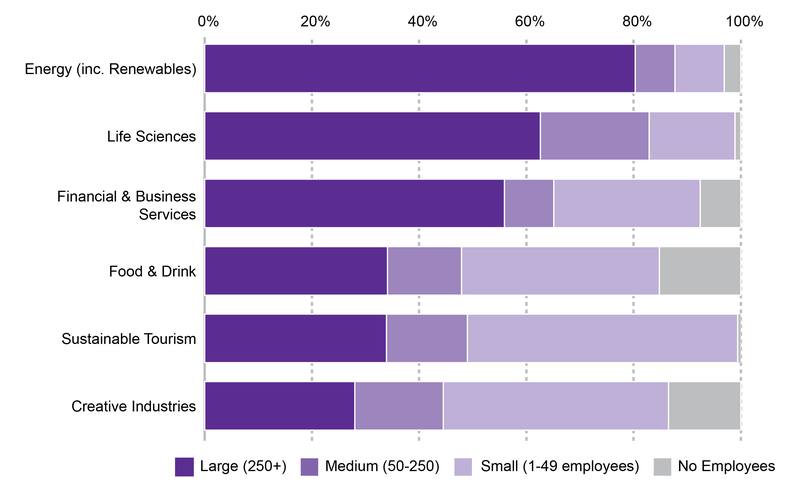 Determinants of the composition of the workforce in low skilled sectors of the UK economy. Warwick Institute for Employment Research. Tudor, D. (2017). Industry Chair, Life Sciences Scotland Industry Leadership Group. Submission to the Scottish Government. Life Sciences Scotland. Scottish Enterprise. (2018). Scottish Enterprise Economic Trends Survey, February 2018. -. Creative Scotland. (2017). Update on Brexit Implications, by Alastair Evans. -. Arts Council England. (2016). Research on Brexit conducted in Autumn 2016. -. Armstrong, J., & Mclaren, J. (2017). 'The Oil and Gas Sector' in The Scottish Economy: A living Book (ed. by Kenneth Gibb et al.). London and New York: Routledge. Interview with Gareth Wynn and David Hoy. (2018). Oil and Gas UK. Written submission to SPICe by Claire Mack, Chief Executive. (2018). Scottish Renewables. Written submission to SPICe by Graeme Jones, Chief Executive of Scottish Financial Enterprise. (2018). Private archive.